Four miles long and a half-mile wide, the Menomonee River Valley extends from the Harley-Davidson Museum® to the site of Miller Park Stadium. The Valley was formed by melting glaciers more than 10,000 years ago and, for thousands of years, the 1200-acre Menomonee Valley was a wild rice marsh, home to American Indians. The name “Menomonee” is derived from the Algonquin “meno,” meaning good, and “min,” a term for grain or fruit. Wild rice (menomin) flourished in the extensive wetlands of the MenomoneeValley. By the 1700s, the Potawatomi were the primary residents of the region. Ojibwa, Fox, Menominee, Ottawa, Sauk, Winnebago and others also lived here at various times. All the marsh proper...would, in the spring, be literally alive with fish that came in from the lake... And the number of ducks that covered the marsh was beyond all computation. In 1795, Jacques Vieau, a fur trader, established the first permanent trading post in Wisconsin on the bluffs of the Valley at the site of what is now Mitchell Park. By the mid-1800s, the settlement of Milwaukee pushed toward the Valley, and Milwaukeeans filled the marsh with soil, gravel, and waste to create dry land for additional development. They straightened the Menomonee River and cut canals to provide shipping routes. 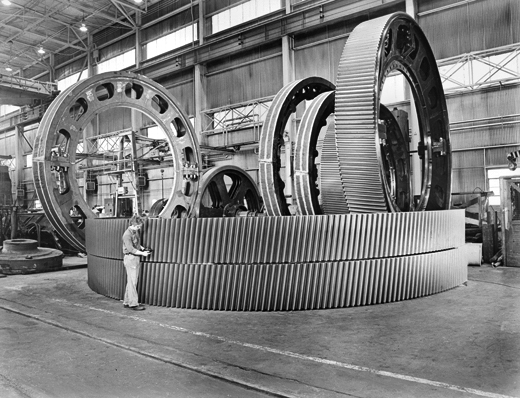 By the early 1900s, Milwaukee was known as the “Machine Shop of the World” and the Menomonee Valley was its engine. Farm machinery, rail cars, electric motors and cranes were made in the Valley. Clay became cream city bricks. Wheat was turned into flour, hogs became ham and barley became beer. Cattle were made into meat, leather and tallow (soap and candles) with no parts wasted. These changes provided jobs for thousands of people, but damaged the Valley’s natural resources. From 1879 to 1985, the Valley was the location of the Milwaukee Road Shops, an enormous complex that made rail cars and locomotives for the Chicago, Milwaukee, St. Paul & Pacific Railroad. In the 1900s, the Milwaukee Road was one of the largest employers in Milwaukee with nearly 3,000 employees. Many lived in the neighborhoods nearby and walked to work. By the late 1800s, thousands of workers arrived in the Menomonee Valley to work in industrial jobs. They established the first large neighborhoods west of downtown – Piggsville, Merrill Park, and Concordia. Most workers walked to work carrying lunch pails and were known as the “bucket brigade.” The neighborhood southwest of the Valley, Silver City, owes its name to the employees of the Valley' Milwaukee Road Shops. The Shops paid its workers in silver dollars, and on pay day there would be a flurry of silver dollars changing hands in all the saloons along National Avenue. By the 1960s, the Menomonee Valley was a cultural divide of black and white communities, often known as “Milwaukee’s Mason Dixon line.” In 1967, Father James Groppi, a Catholic priest, led the first of the open housing marches across the Valley’s 16th Street Viaduct in protest of racial discrimination and housing segregation. The Milwaukee Common Council passed an open housing ordinance in 1968. In 1988, the 16th Street Viaduct was officially renamed the James E.Groppi Unity Bridge. By the late 1900s, as manufacturing practices changed, the Valley was left a blighted area with abandoned, contaminated land and vacant industrial buildings. Bridges into the Valley were demolished as businesses left and the Valley was isolated from the surrounding city, a place to pass over, but not a place to go. The neighborhoods adjacent to the Valley most strongly felt the impacts of the Valley’s decline; residents suffered from limited access to jobs and recreation opportunities, high levels of asthma and obesity, and poor air quality. 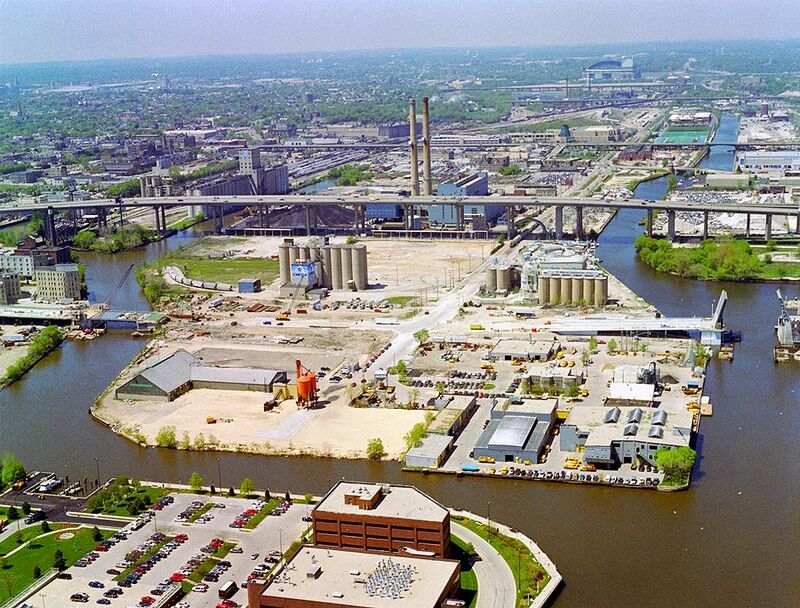 In 1998, the City of Milwaukee, the Menomonee Valley Business Association and the Milwaukee Metropolitan Sewerage District prepared a land use plan for the Menomonee Valley, a road map for its redevelopment. At the time, the State of Wisconsin was laying the groundwork for the Hank Aaron State Trail. As a result of these planning efforts, Menomonee Valley Partners was formed as a nonprofit organization, a public-private partnership to facilitate business, neighborhood, and public partners in efforts to revitalize the Valley. Since 1999, 51 companies have moved to or expanded in the Valley, 5,200 jobs have been created, 45 acres of native plants, seven miles of trails, and a nationally recognized shared system have been established. In addition, 10 million people visit the Valley each year. More than 250 organizations and 450 individuals have given pro bono time by serving on boards, committees, and working teams, while thousands of individuals have volunteered at Valley events. Today, the Valley is a national model of economic and environmental sustainability. Recognized by the Sierra Club as "One of the 10 Best Developments in the Nation," the Menomonee River Valley continues to receive local and national recognition. During the course of 18 months, Menomonee Valley Partners and the City of Milwaukee held public meetings and met with hundreds of stakeholders to envision what the Menomonee Valley will become in the next 20 years. The City of Milwaukee Common Council approved the Valley 2.0 Plan in June 2015. Partners are working toward this vision now. In Studies & Reports, you’ll find a list of studies on the Valley’s revitalization dating back to 1998.